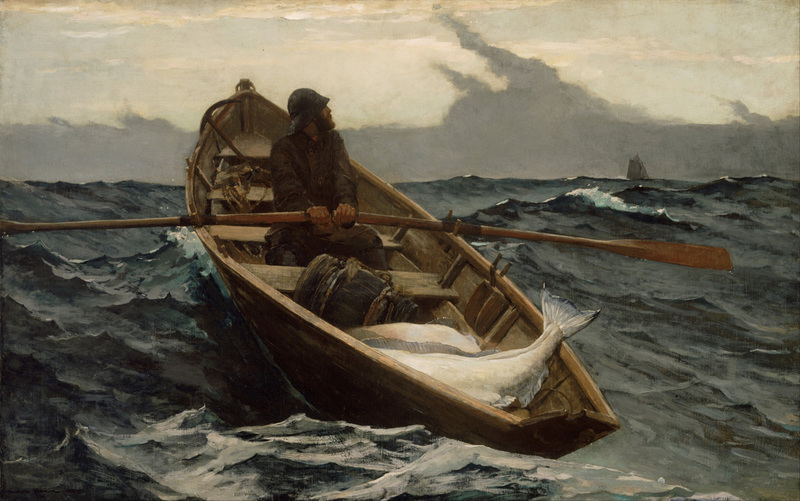 I have been obsessed with the paintings of Winslow Homer for most of my life, and I’ve met my share of mariners who feel the same way. My favorite work of his is The Fog Warning. It hangs in Boston’s Museum of Fine Arts, and I try and visit this old friend at least once a year. Why this painting? For me it celebrates the drama and passion of a working life at sea. A fisherman, his dory full of a halibut, looks towards his mother ship as a heavy fog quickly rolls in over Newfoundland’s Grand Banks. In a short while he could lose sight of his ride, and find himself stranded some four hundred miles from home. But he shows no fear or concern. 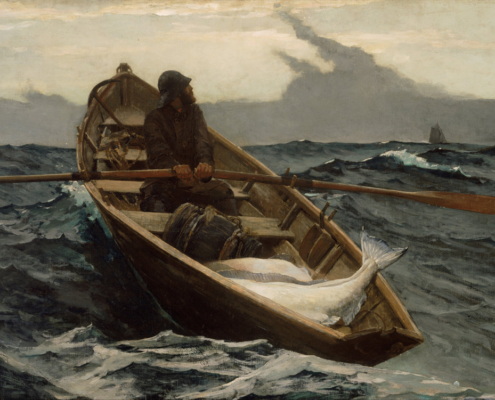 Our fisherman does what men at sea have always done – They just row hard through whatever the seas throw at them. That quiet bravery has long been my inspiration, and now it informs this blog.